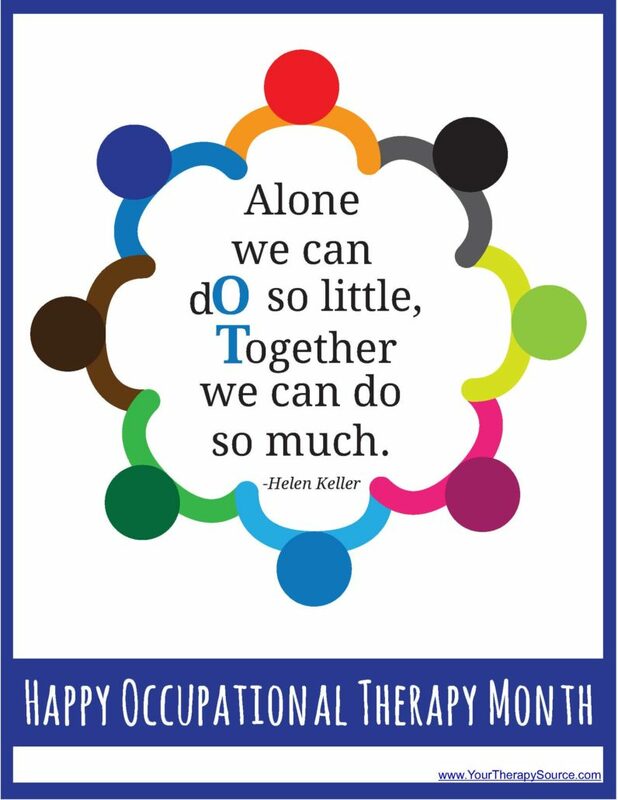 Each year I have been creating new posters to print to wish everyone a happy Occupational Therapy month in April. This one happens to be one of my favorites but perhaps I say that every year. It is a Helen Keller quote – “Alone we can do so little, together we can do so much”. This quote speaks miles. Occupational therapists do an amazing job of supporting people to help improve function and the quality of life. I have added this printable to the FREE pack of Happy Occupational Therapy Month posters to print. This free packet now has 8 OT Month posters with a pediatric theme! Looking for printed posters? 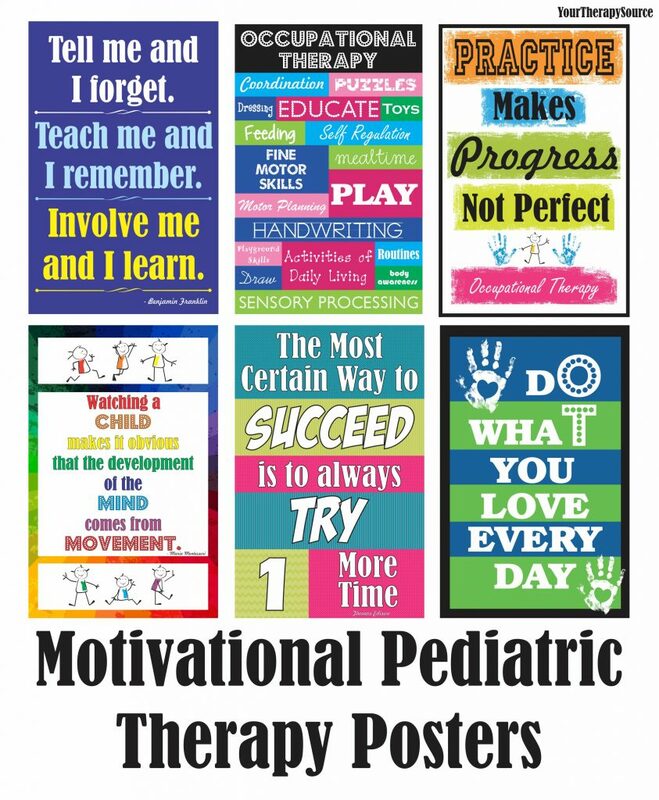 Check out all of our PRINTED line of pediatric therapy posters.